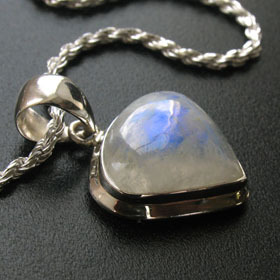 Rainbow moonstone pendant set in sterling silver. 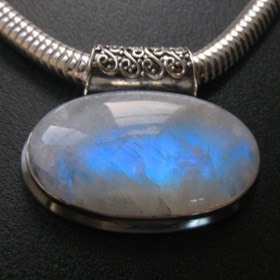 This stunning moonstone pendant features a glorious stone glowing with blue schiller and with a flash of rainbow light at the bottom of the stone. 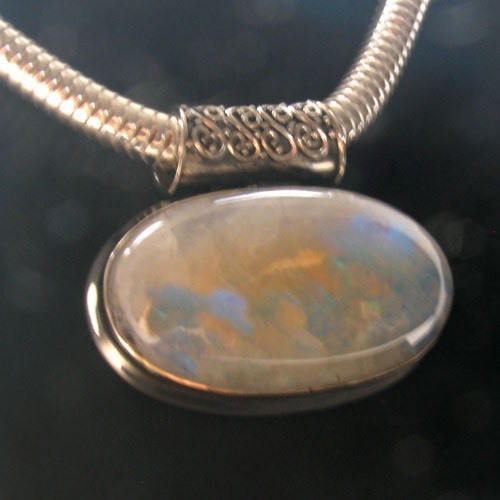 Set into a neat sterling silver frame, the pendant is finished with a hand decorated pipe bale. 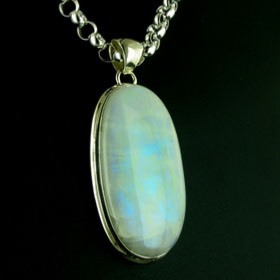 This beautiful pendant suits a choker length chain as well as a standard length. 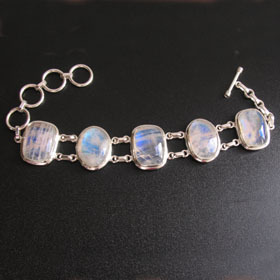 This is a gorgeous piece of rainbow moonstone jewellery. 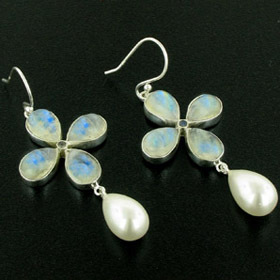 To learn more about moonstone see About Gemstones. 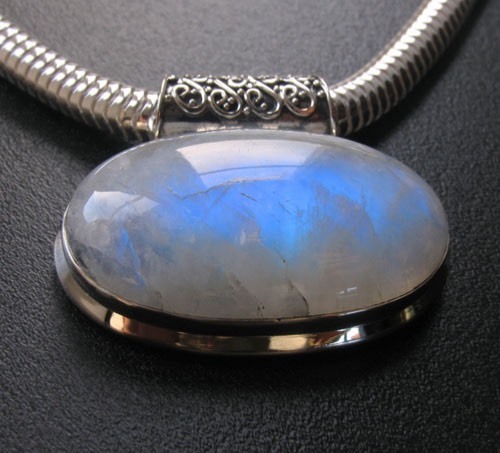 See our full range of moonstone pendants. 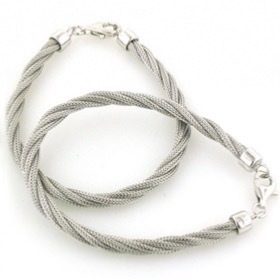 We chose to feature our popular silver snake chain, width 5mm which is available in lengths 16" to 24". Other widths and lengths in snake chains are available. 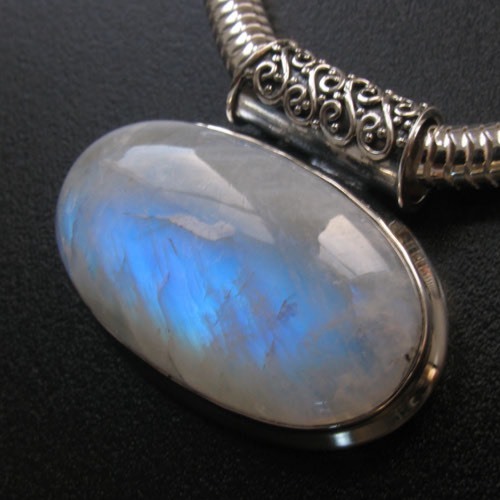 Moonstone is the June birthstone - Treat her to this moonstone pendant!